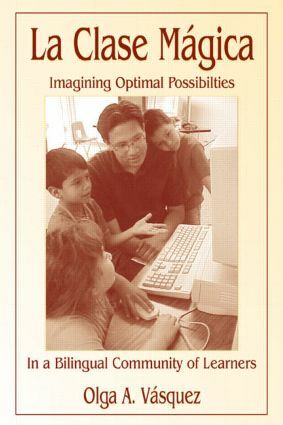 La Clase Mágica: Imagining Optimal Possibilities in a Bilingual Community of Learners vividly captures the social and intellectual developments and the promises of an ongoing after-school project called La Clase Mágica. It is a blow-by-blow description of the early transformations of a project that began as an educational activity and slowly but deliberately turned into a social action project whose aim was to serve those with low economic and political means and little access to educational resources. This multivocal account details research in action for effectively serving Spanish-English bilingual speakers from a Mexican origin community, as well as--on a broader level--the diverse populations that increasingly characterize American society today. The focus is on the early foundational work of the project between 1989-1996, though attention is also given to the national and international recognition the project has subsequently received, the college-going patterns of its long-term participants, and the transplantation of the project to other cultural communities. The book speaks out from the "zones of contact" between the university and a language minority community about new ways to extend and intersect theory and practice in many areas of the educational enterprise. Contact is defined not only in the physical sense of face-to-face interaction but also as symbolic interaction between languages, cultures, histories, and epistemologies. Thus, Vásquez speaks of optimal possibilities situated in the middle grounds, or more technically speaking, in the borders between Spanish and English, Mexican and mainstream culture, minority and majority designations, and between school and community contexts where contact is made and new arrangements are imagined.